Mid-Atlantic Financial Group offers a number of commercial real estate loans for our clients. Below, you’ll see the various commercial loans that we can provide. If you’re relocating or your long-term financing isn’t yet available, a bridge loan is right for you. A bridge loan is a short-term loan usually 6-12 months. Interest rate on bridge loans are usually higher than permanent loans. A loan that is submitted through a local bank, insurance company or finance institution. 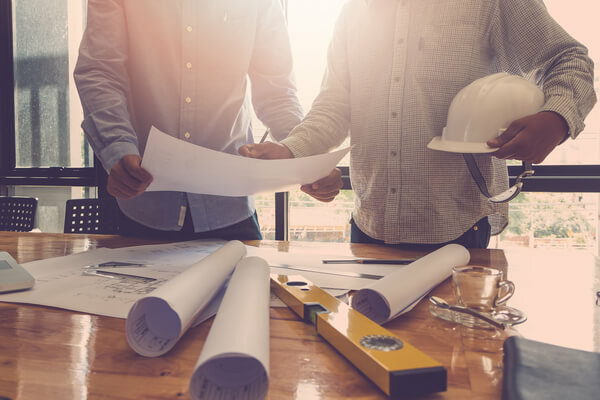 Using equity that is created, these loans operate on a multi-stage level to create funding for any construction that may be necessary to complete a project. For those who need cash for rehab projects, we offer fix and flip loans. We have flexible loan options available for investors looking to expand their real estate portfolio. Flexible commercial loans designed to help you grow your rental portfolio. Perfect for buy and hold strategies, and loans can range from $75K to $2 million. A very user friendly process, and your personal income doesn’t need to be verified. Everybody knows you can get investment loans from a bank. But besides banks, there is the option to turn to private commercial lenders. In areas where banks can’t or won’t write loans, private lenders can help. There are few important differences between bank loans and private loans. Most banks are regulated by the government which can make financing complex loans difficult. If you want to get involved in flipping houses, the first thing you should know is that it’s not as easy as they make it look on TV. From finding a location to understanding your funding options, there is a lot of research that must take place. While there are a number of challenges you may run into, understanding the process from start to finish will help you prepare for these hurdles. When it comes to investing, real estate is one of the best avenues to explore. Commercial real estate specifically has the ability to generate significant return on investment. Over the last few years with the rise of various television shows, fix and flip properties have become the trend in commercial real estate investing. However, there’s a lot more avenues for potential investors to look into.